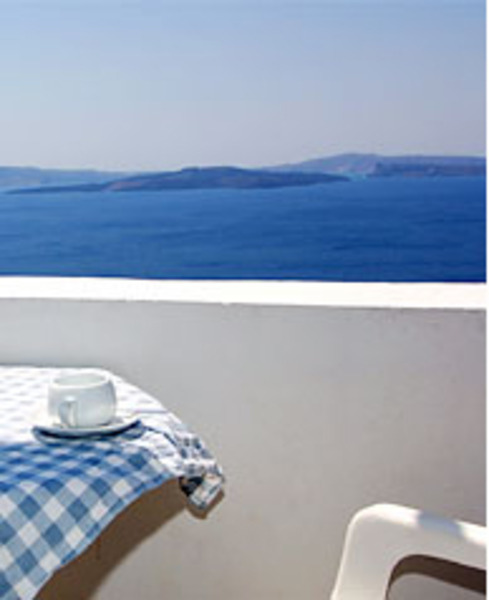 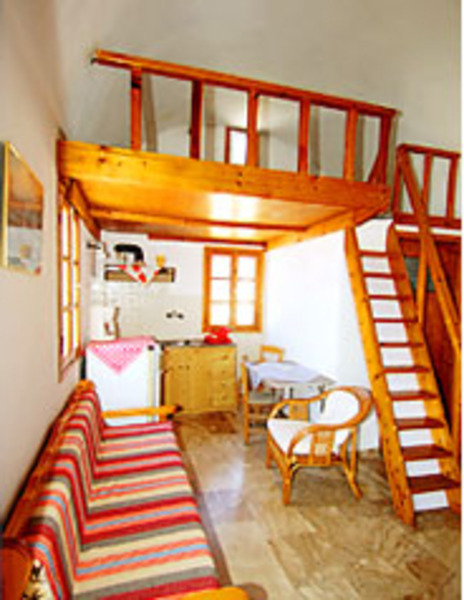 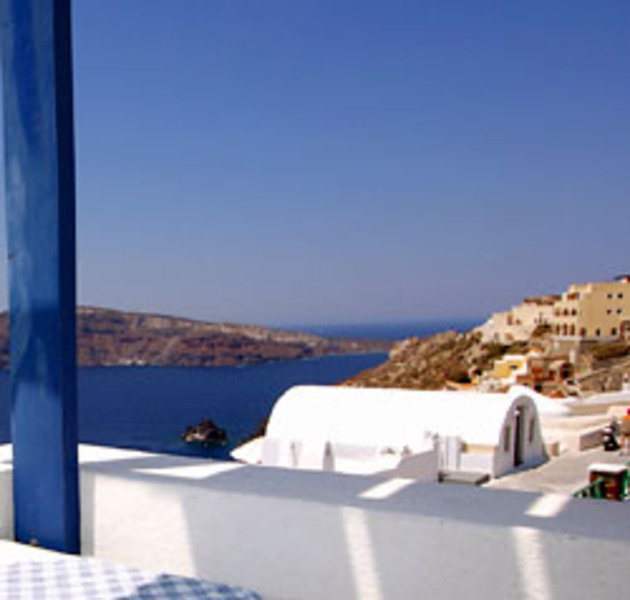 Stelios Rooms in Oia an excellent solution for holidaymakers who want cheap accommodation in idyllic surroundings. 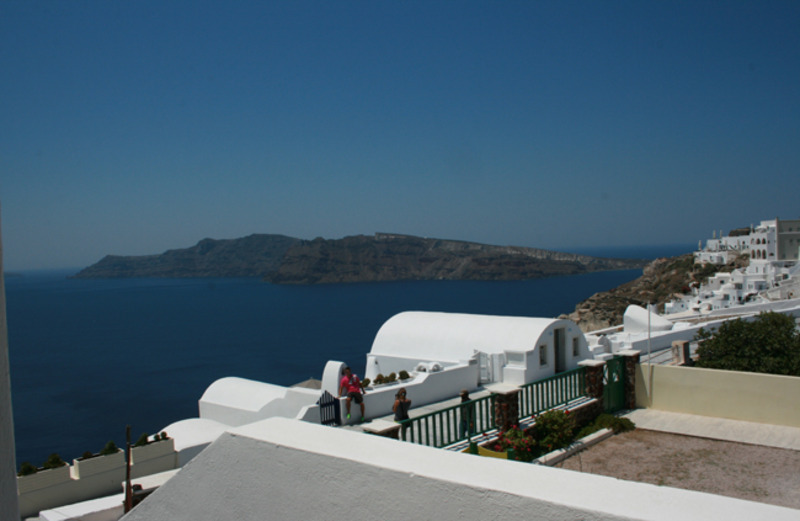 Oia village in Santorini is famous for sunsets, panoramic views, picturesque cobbled streets, art deco galleries and quaint cafes. 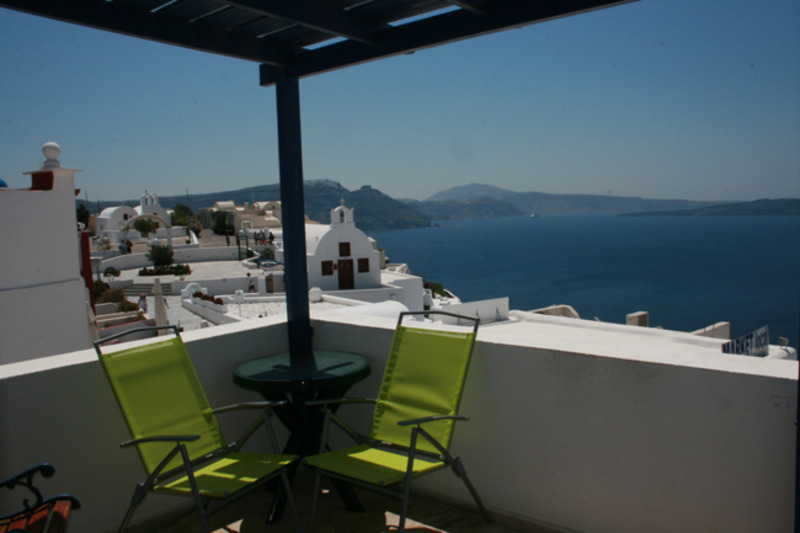 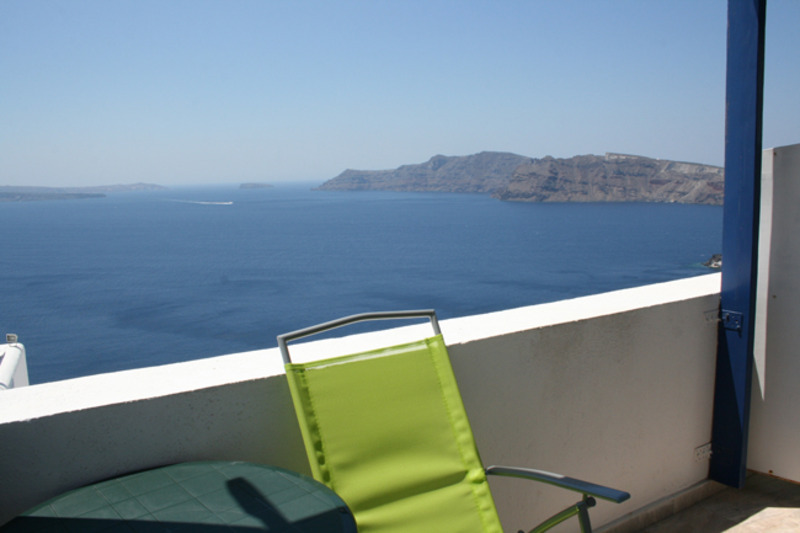 Stelios Rooms is in the middle of all of this - modest affordable accommodation with the best views in Santorini. 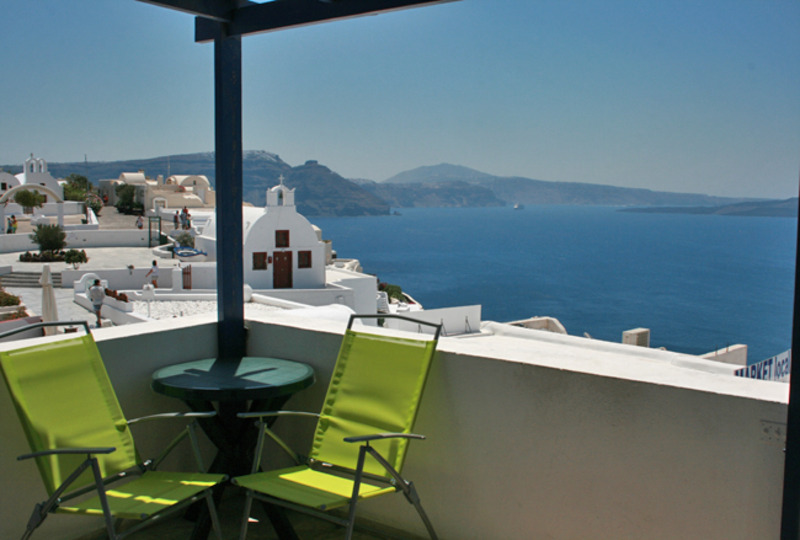 Stelios Rooms is opposite the church of Agios Georgios right on the Oia Caldera, with views to the Volcano and of course, the sunset ... 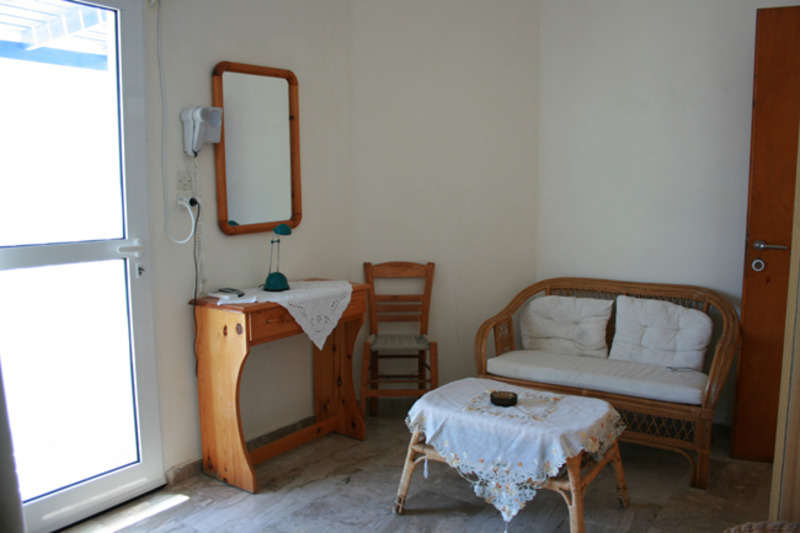 There is a private parking area and the reception can be found in the premises of our taverna restaurant which is just below the rooms. 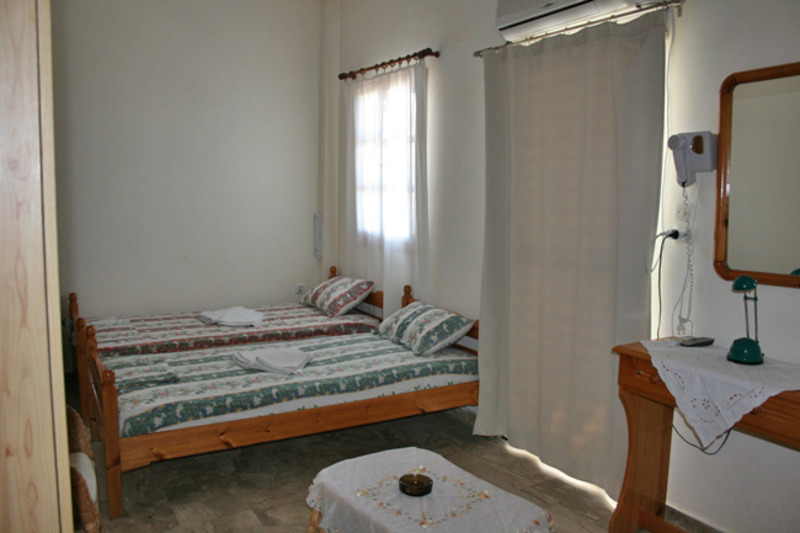 The rooms are for 2 persons and they are all air conditioned. 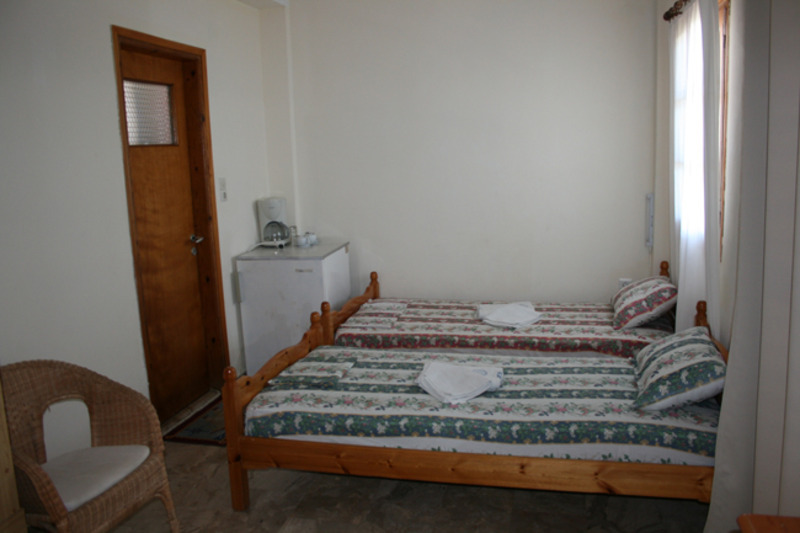 They provide sea view balconies, bathrooms with showers, a TV, fridge & coffee machine as well as a hair dryer.